It’s critical that your teenager’s first car offers safe and reliable performance over the years to come. 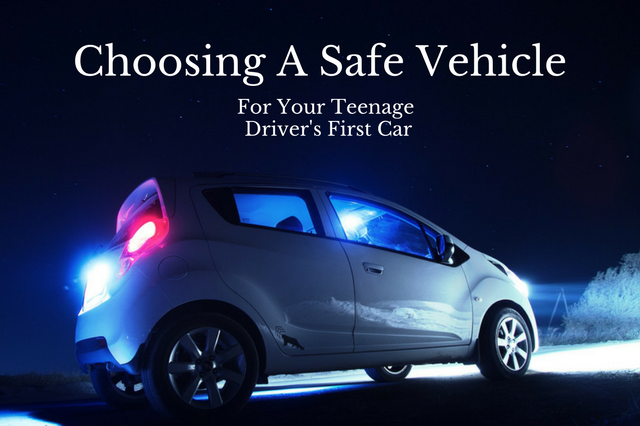 By choosing a highly rated vehicle that has achieved the highest in safety standards, you can mitigate many of the concerns other parents face as their teen begins life as a new driver. Our teen driver education team starts the process by highlighting the safest and most reliable new vehicles according to research from U.S. News and World Report. Featuring forward collision warning and lane departure warning technology, the Chevy Sonic is considered one of the top vehicles for teen drivers. It received the highest ratings from all five Insurance Institute for Highway Safety evaluations and a five-star rating from the National Highway Traffic Safety Administration. Another benefit is its telescopic and tilt steering wheel, which gives your teen driver the ability to adjust to their ideal seated position while steering. Built with a high-efficiency engine that offers 41MPG highway driving, the Honda Fit is an excellent vehicle for the efficiency-focused teen driver. In addition to achieving high ratings in crash safety tests, the Honda Fit also comes standard with a rearview camera, which is incredibly valuable. The Honda Fit has been named the best hatchback of 2016 regarding value for money. The Kia Soul provides parents with the ability to locate their teen on the road. Featuring UVO technology, the vehicle sends a text message to parents when their child’s vehicle exceeds a certain speed limit, goes beyond a particular geographic boundary, or is driven at a specific time of night. In addition to receiving top crash-test ratings from the National Highway Traffic Safety Administration and the Insurance Institute for Highway Safety evaluations, the Kia Soul also offers smooth and quiet handling for your new driver. The Mazda3 has long been considered a high-performing vehicle for high-efficiency drivers. The Mazda3 updated safety features that made it more of an ideal car for parents with teen drivers. It features an entertainment system teen drivers will love matched with the highest of industry safety ratings. The vehicle includes safety components such as forward-collision warning, low-speed automatic braking and blind spot monitoring to assure a highly safe and enjoyable drive for the teen driver. Similar to the Fit, the Civic has tested well in crash safety tests. Honda’s engineers are continually improving upon their vehicle’s performance levels, and this is highlighted with the Honda Civic 2016 receiving the Top Safety Pick award due to its Insurance Institute for Highway Safety evaluations this year. With forward collision warning and automatic braking, the Honda Civic sets leading-class standards while providing roomy and comfortable seats for both drivers and passengers. By reviewing the vehicles available in the 2016 marketplace, you can pinpoint that perfect option for your teen driver. To learn more about the latest models and their safety features, call our teen driver education experts today!